Open Cluster combines two methods of my practice: floor based, corresponding with my conceptual concerns whereby the transformation of things or objects results in gravity pulling material traces of memory, or matter, down to ground level; and, storing materials until the right opportunity (chance meetings), to arrive at an installation of floor based sculptures. 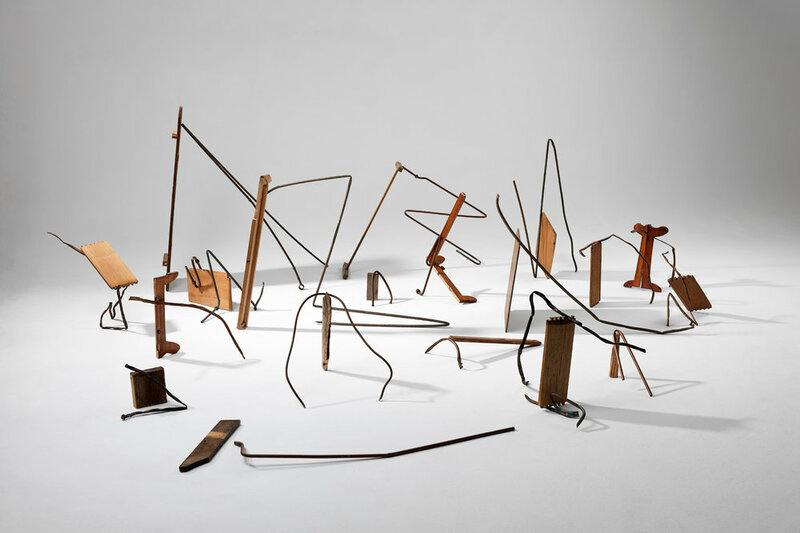 Individual sculptures have no fixtures, other than gravity, the ground and morphology. An Open Cluster is a grouping (typically asymmetrical) of a dozen or more stars of similar age/derivation which are loosely bound by mutual gravitational attraction and which constantly transform. The Open Cluster phenomenon corresponds with my conceptual concerns whereby material traces of memory continuously change, reminding of temporal existence and matter’s constancy, perpetually reused/yet-to-become.